Cut from the middle of the hind leg, gammon is a cut that benefits from long, steady cooking. 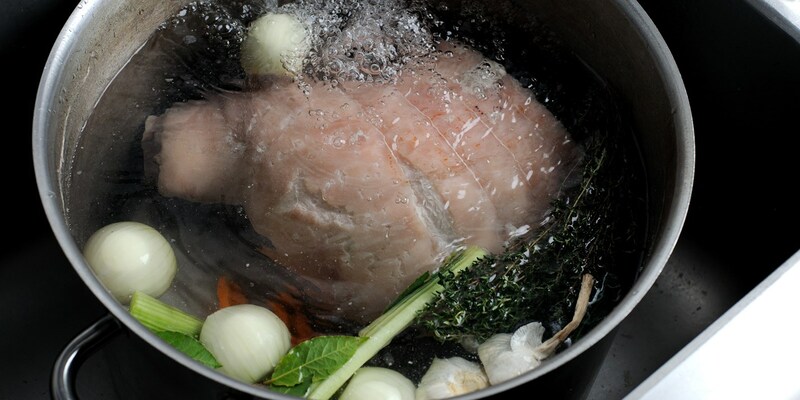 Though of course it lends itself well to roasting, braising is arguably an even more dynamic way to cook the meat; the liquid in the pan stops the meat from drying out and depending on which liquor is used - adds plenty of flavour. If you want to keep the hob free, gammon can also be braised in the oven at 160°C/gas mark 3 for the same amount of time. After the gammon is braised, it can be coated with a glaze and placed in a 190°C/gas mark 5 oven to create sticky, sumptuous fat - scoring the fat is great for overall presentation and helps the glaze to reach down to the meat - a brilliantly indulgent option for any sunday lunch. A diverse variety of liquids can be used to braise gammon, all imparting a subtle hint of flavour into the meat. Take note of James Mackenzie’s cider-braised gammon recipe, which plays upon gammon’s attraction to sweet, syrupy ingredients, and hints at its potential to be braised in ale, orange juice or even coca-cola. For further inspiration, look to ingredients like white wine, which will lend an air of sophistication to this rustic ingredient, used to great effect in Galton Blackiston's terrine recipe. To keep things simpler, braise in stock or even just water - perhaps with a few robust herbs and aromatics thrown in for good measure.